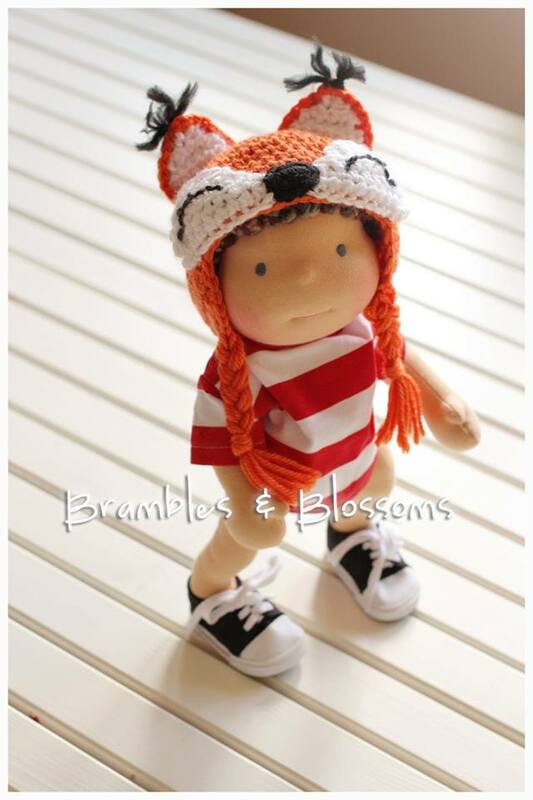 Our third giveaway is from Cathy over at Brambles & Blossoms. If you haven’t gone to check out her Facebook page, you are seriously missing out. Cathy is a dollmaker, and an amazing one at that. She was a bit of a tomboy growing up, but was always drawn to playing with dolls even then. Her mom was a talented seamstress so she has definitely inherited the gift. Of course her mom sewed like many of ours did, the old fashioned way, with pins and measuring tape and patterns. Can you imagine? Me neither. Luckily for Cathy she’s not only amazing at the craft of sewing, she also has a great eye and has been able to create her own patterns as well as provide them to other aspiring dollmakers (which incidentally, you can purchase in her Etsy shop) . When Cathy had her second child (ummm… she has SEVEN) her husband bought her a sewing machine for Christmas. 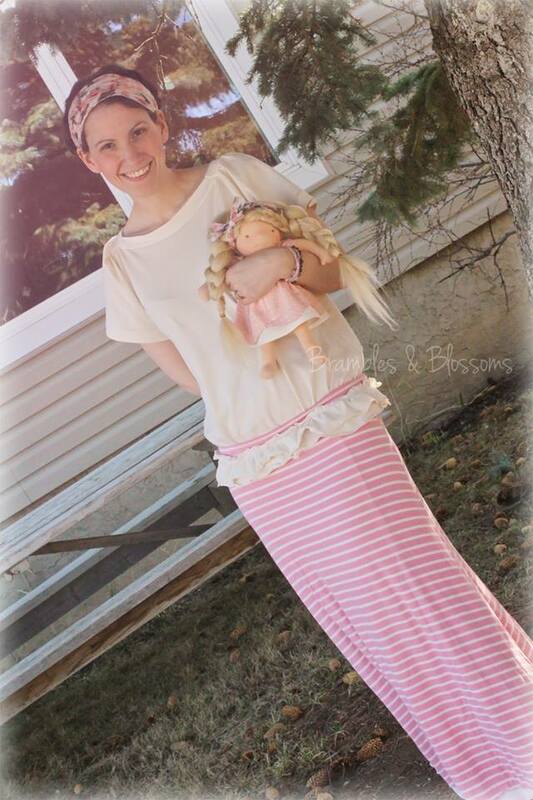 She started making cloth diapers for her boys and then ran her own cloth diaper company, Ewies Diapers, for five years. Eventually she must have grown tired of making diapers (by the way, I’ve made two, and I was pretty tired of it so I have NO idea how she lasted that long) she decided to move into what we lovingly call Doll World and opened up Brambles & Blossoms. Speaking of Brambles & Blossoms, and back to her seven kids, Cathy has five Brambles (boys) and two little Blossoms (you guessed it, girls). She stays at home with her kids and homeschools them all. Somehow she manages to create dolls while wrangling the troops, teaching math, listening to radio dramas and playing lego. Since she has no real block of time in any given day to devote to sewing, she does things bit by bit as she finds pockets of mama time. Cathy claims she’s no saint but I think she’s just being modest. Look through her photos and you can see the amount of love and talent that goes into everything she does. 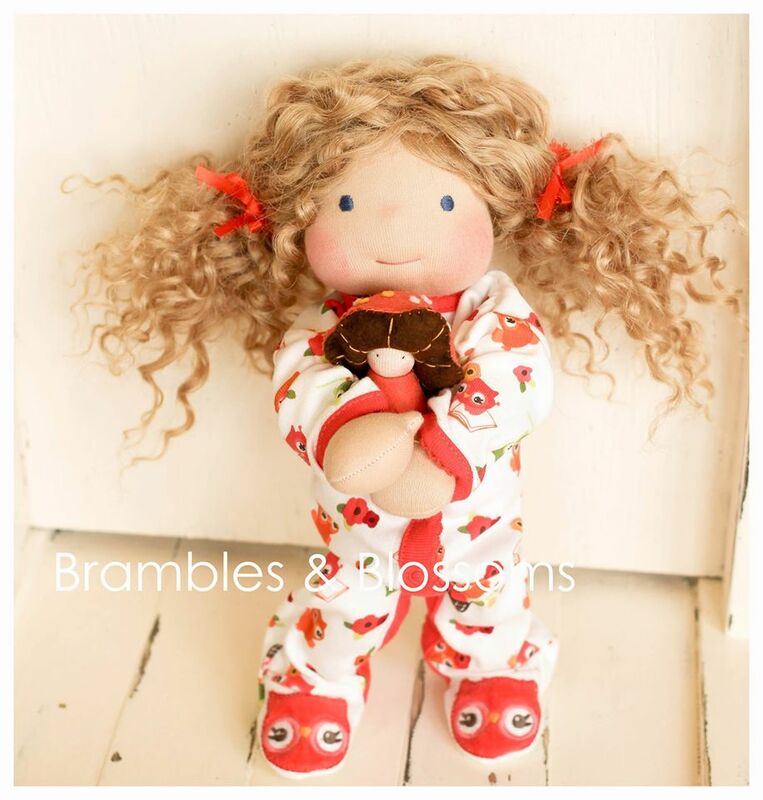 She has the Midas touch when it comes to creating dolls and has yet to miss her mark. 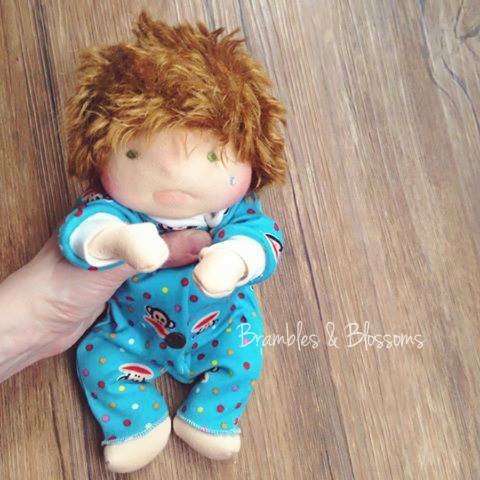 Cathy has been very generous in donating one of her amazing baby dolls to our giveaway chain. Be sure to pop by our page tomorrow (Thursday) for a chance to win! 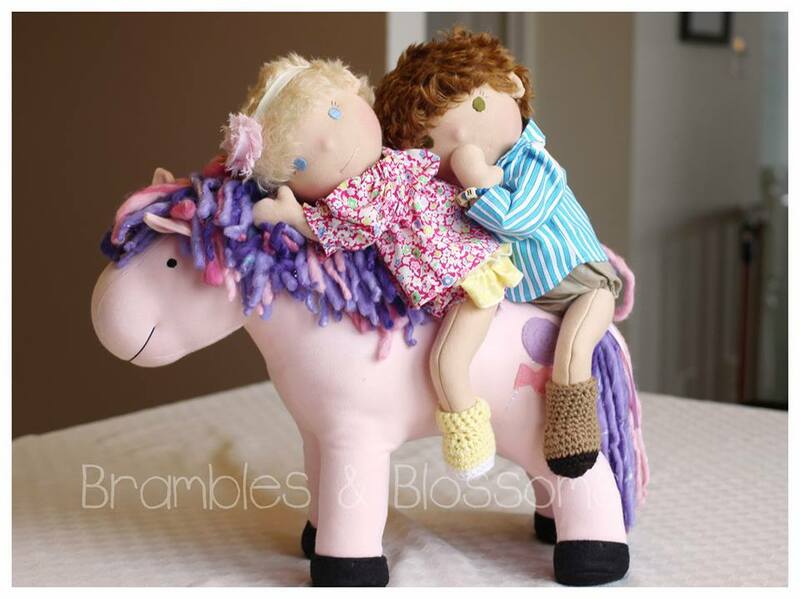 I’m giving a doll to these awesome crafters to use as a giveaway this week! Her dolls are truly remarkable!